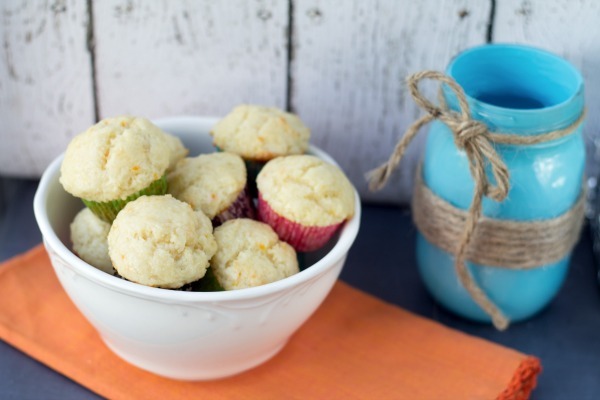 You can’t go wrong by starting your day with these delicious Orange Creamsicle Mini Muffins! A couple weeks ago I received a huge box of Chobani yogurt from none other than Chobani! I was pretty excited to receive an email from them about one of my recipes that they spotted on FoodGawker. They loved my Peanut Butter Frozen Yogurt so they asked if I would like to receive a box of Chobani so I could experiment with some recipes. Of course, I said yes! I’ve already made two recipes with the Chobani. 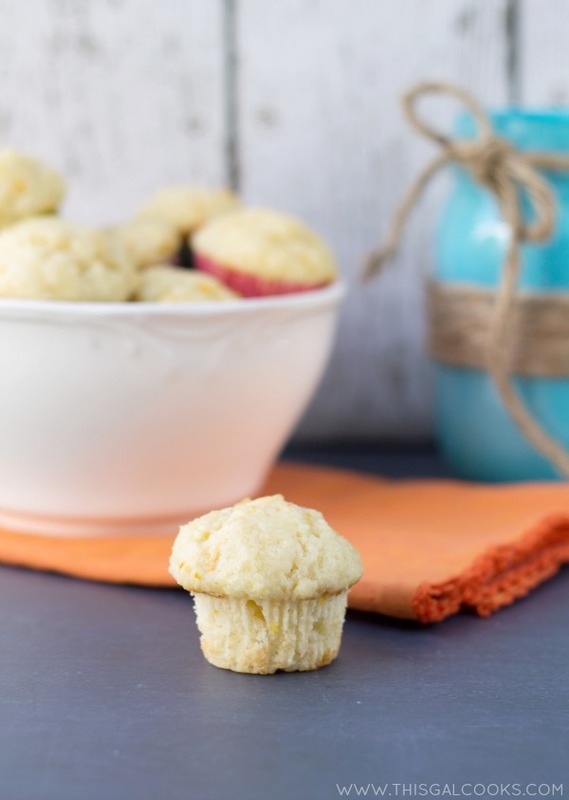 You’ll get to see one of those recipes right now, these Orange Creamsicle Mini Muffins, and you’ll get to see the other recipe next week. To make these muffins, I adapted the Orange Yogurt Muffins recipe from my Better Homes and Gardens New Cookbook. I used 0% Chobani Vanilla Yogurt, fresh squeezed orange juice and orange zest (lots of it) to achieve a dreamy orange cream flavor. No lie, the batter tasted just like an orange creamsicle. These muffins almost didn’t happen because I was extremely tempted to snack on the batter. But alas, I resisted the temptation to stuff my face full of muffin batter. It’s a good thing I was able to resist…if I hadn’t, then I wouldn’t be sharing this delicious recipe with you today! 1 C fat free vanilla Greek yogurt. I used Chobani. In a large mixing bowl, whisk together the flour, salt, sugar, baking powder, baking soda and orange zest. In another mixing bowl, whisk together 2 tbsp orange juice, oil, egg and yogurt. Make a welt in the center of the flour mixture. Pour in the yogurt mixture. Mix with a spoon until just combined. The mixture will be lumpy. Spoon the batter into 24 lined mini muffin cups in a mini muffin pan. 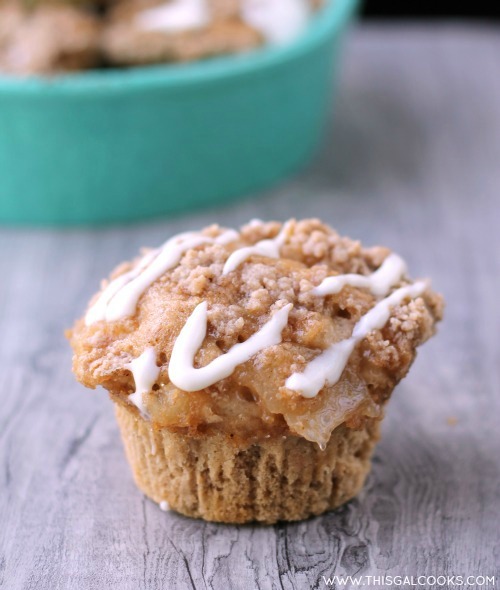 Bake for 10-15 minutes at 350 or until a toothpick inserted into the center of one of the muffins comes out clean. Meanwhile, make the glaze. Whisk together the powdered sugar, 2tbsp orange juice, vanilla extract and the whipping cream. 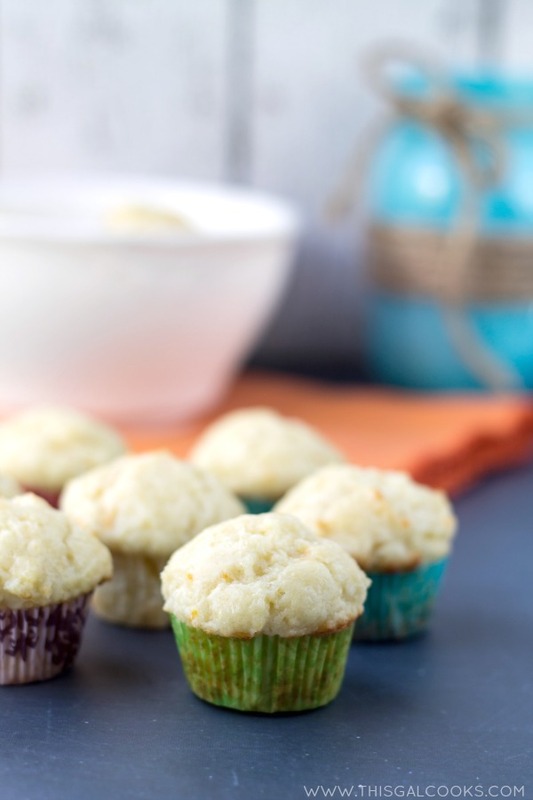 Once the muffins are done baking, remove them from the oven and allow them to cool. Brush the tops with the glaze. I love using Chobani in both my baking and cooking! I like the creamsicle flavor Julie! It’s a great change from the usual blueberry that we have! It is always difficult to refrain from snacking on the batter while baking! 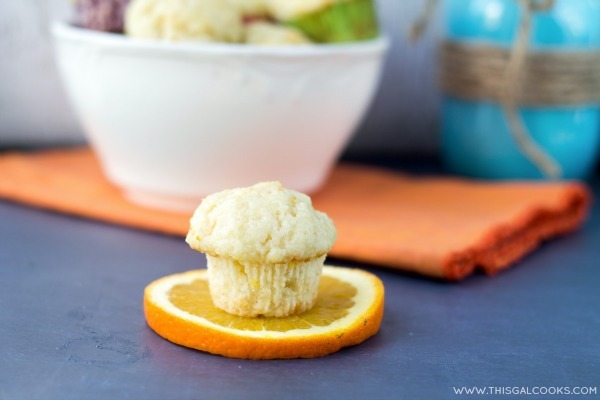 I’m lookig forward to trying muffins that taste like an orange creamsicle. Thanks Julie! Oh I’m such a sucka for the batter or dough. Cookie dough? I could probably live off of that for a day or two. Although, I’d probably feel disgusting afterwards! 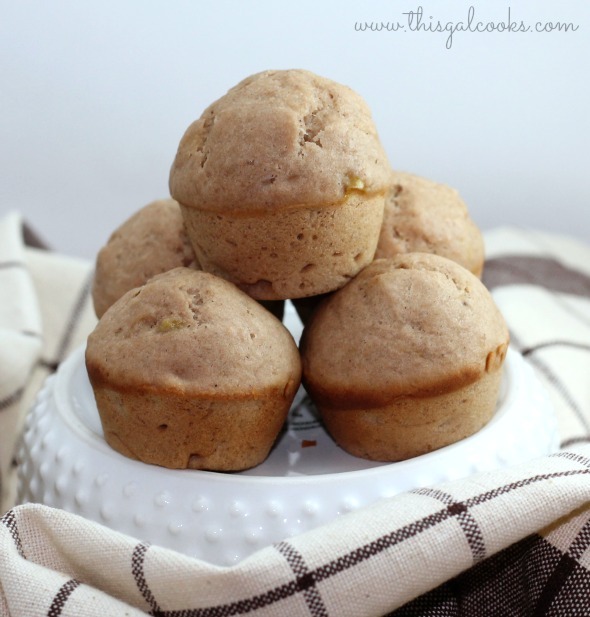 These look so good Julie…what a refreshing muffin! I love using Chobani yogurt in baking and smoothies and just this morning make some cherry yogurt popsicles! Thank you, Zainab! Ooo, those sound delicious. I LOVE cherries! Thank you for stopping by! These look so delicious, Julie! I love Creamsicles. I use Chobani in my baking all the time — it’s just the best. I’m pinning this one! Word! Chobani is the best! Thanks for stopping by and for the compliments, Marcie! These are so cute!! I love baking and cooking with Chobani, too. I use it in place of sour cream in recipes since my hubby won’t eat sour cream! Thank you, Ashley! Chobani IS the best. I love love LOVE their yogurt! Love these…they are so super cute! You are truly so creative. This flavor is my fave! 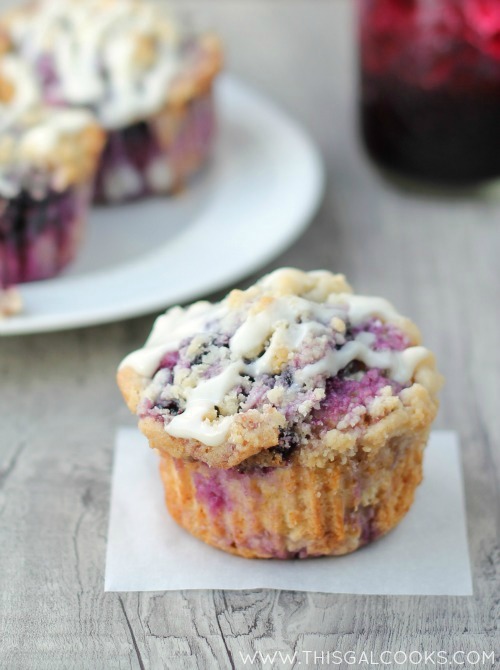 Those sound amazing and refreshing for a muffin. It sounds like such a fun creative twist to orange creamsicle! These look delicious! I love orange flavor almost as much as lemon!! Pinning and sharing! Thank you, Anne! I think I got those baking cups at Michael’s! Yum! These look fabulous, Julie! I love Chobani as well as the team. I had the privilege of meeting a couple of them when they hosted a Chobani inspired dinner earlier this year. They are so generous and passionate. I cook and bake with Chobani quite often. I don’t blame you for not having the patience to bake the batter ;). I’m def going to try this recipe! That’s exciting, Min! They so seem to be very generous and passionate about their product, which is awesome! What a great little recipe, perfect so summertime breakfasts! I would love for you to stop by and link these up at the TGIF Link Party this week! Have a great weekend! These muffins look delicious, Julie. I love muffins and Mom, my twin and I used to love baking them. I also buy some from time to time. The ones you have made look so good! Thanks for sharing. What a fun muffin recipe Julie! I just loved that you use greek yogurt too – sooo good! Hi Julie! Popping in again to let you know that these awesome little muffins will be one of my features tomorrow night at Best of the Weekend! I can’t wait to try them and thanks so much for sharing with us! Have a fantastic Friday!